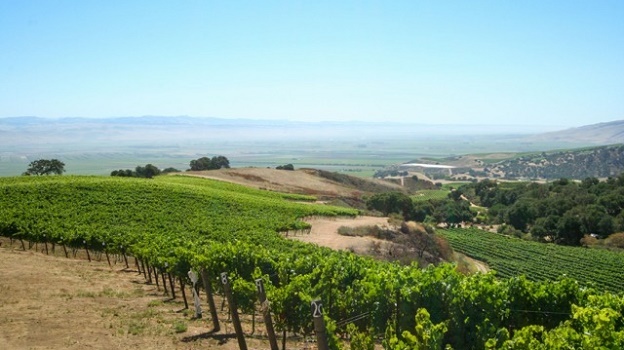 The Santa Lucia Highlands, a roughly 12-mile stretch of windswept, high-altitude, east-facing vineyards 15 miles inland from the Monterey coast, boasts nearly 6,100 acres of some of the New World’s most prized Pinot Noir and Chardonnay vineyards, with Syrah on the upswing. The success rate for Pinot, in particular, is uncommonly high. It’s pretty tough to find many below average wines these days. But it’s also difficult to find serious values, as the region is pretty much devoted to bottling premium and super-premium wines, making it a veritable Gold Coast of California viticulture. In fact, other than the Napa Valley I’d bet that the Santa Lucia Highlands, which was first planted for commercial wine production in 1973, can lay claim to commanding the highest average price per bottle of any American winegrowing region. The good news is that the quality of most wines warrants their prices, especially in topnotch vintages like 2013 and 2012, which are the years that I focused on during my late-June visit to the region. Both of these harvests yielded abundant quantities of clean, ripe fruit from benign growing seasons. And with rare exception, the red wines are awfully easy to drink now, but there’s no question that even entry-level bottlings of red wines have the stuffing for at least several years of aging. Adam Franscioni, whose family owns some of the most prized vineyard in the region, including Rosella’s, Sierra Mar and Garys’, told me that “the fruit in 2013 was pristine, plain and simple.” A warm, dry winter allowed the vines to flower earlier than normal and the weather remained kind through what turned out to be one of the earliest harvests ever recorded. “There wasn’t pressure to pick early,” Franscioni said “but the fruit was just ready to go.” The producers who I spoke with think that the wines have the structure and depth to age well, over the next decade, for sure, but there’s plenty of upfront appeal for the impatient. Adam Lee, who makes wines under the Siduri and Novy labels as well as overseeing production for the Franscioni family’s ROAR label, described the vintage as “one of those rare years where you actually get quality and quantity, which is kind of the unicorn of wine growing.” He added that the ‘13s “have always led with their fruit and don’t seem like they’re ever going to go dumb,” which should make them ideal for wine lovers who are short on storage, or, as mentioned above, patience, and restaurants that place wines on their list within minutes of delivery – which means pretty much all of them nowadays. Two thousand twelve gave a crop that more or less matched 2013 in quantity and quality. The wines were showing extremely well during my June trip and in July, when I tasted many more of them in New York. 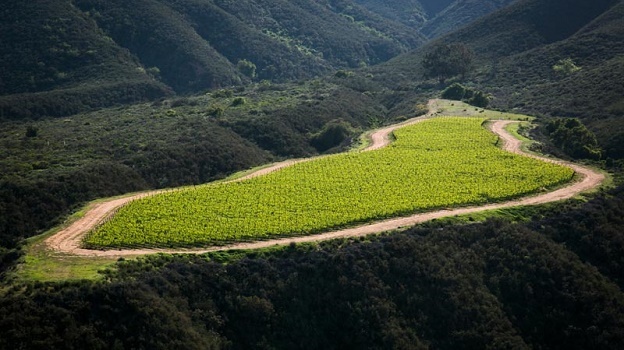 Unlike the wines made in Santa Barbara to the south, most Santa Lucia Highlands wines, both red and white, are generally pretty expressive upon release. The ‘12s are no exception. Jeff Pisoni, whose family and their eponymous vineyard’s fruit have played a major role in building the region’s present-day reputation, told me that “the ‘12s are pretty hard to resist drinking now but they’ll age, and they’ll do it on balance, not concentration.” That’s not to say that there’s a dilution issue with the ‘12s – far from it, at least in the case of the top producers who are the focus of this article – but even wines made from vineyards such as Pisoni that typically produce reds that require aging have been showing uncommon drinkability in recent months. That said, the ‘12s are wines where I would err on the young side when it comes to making drinking decisions. Better too young than too old is my rule of thumb in general, and I would certainly apply it here. At this point the consistently high standard of Santa Lucia Highlands’ Pinot Noir is well-known and even taken for granted, but what’s somewhat less discussed is the rapid quality ascent of Syrah in recent years. Those characteristics that make Pinot Noir so successful here – freshness, perfume and fruit intensity – can be found in the best Syrahs. In many cases the wines hearken strongly to serious versions from the northern Rhône Valley. At this point, though, the area planted to Syrah is dwarfed by Pinot. I find white wines in the Santa Lucia Highlands, especially the Chardonnays, to be more of a mixed bag than the reds, with many examples in the decidedly rich, even opulent school. I hasten to say that this doesn’t mean loose and blowsy, but compared to their counterparts from the Sta. Rita Hills or Santa Maria Valley, for example, the wines are simply more buxom, with rare exception. With that in mind, my inclination is to enjoy them on the early side, even releases from seriously good vintages like 2013 and 2012. Oak is another factor that’s hard to ignore here as the vast majority of the area’s Chardonnays are fermented and aged in oak, often in a substantial percentage of new barrels, which fans of the tight, racy style typically produced on the Sonoma Coast or in the Sta. Rita Hills might not find so appealing. My advice with these wines is to enjoy them in their youth for what they are, and with rich, strongly seasoned or buttery dishes and even with robust cheeses, especially blues. A quick look at some barrels of baby 2014s, another early harvest with clean fruit and relatively high yields, gives the early impression that we’ll be looking at wines cut from similar cloth to the 2012s. The fruit is forward and fresh and tannin levels appear to be on the moderate to low side, which means, once again, early drinkers for the most part. Given how quickly most wine lovers, not to mention restaurants, run through their New World Chardonnays and Pinots, even from high end wineries, I’ve begun to wonder about the logic of making age worthy versions of those varieties. At this point I’d wager that a good four out of five Santa Lucia Highlands wines from, say, the 2009 and 2010 vintages, were drunk up some time ago or on the drinking block right now, which begs the question: why make wines to age if nobody’s doing it and your bottles look ungainly or even unpleasant compared to the majority of your neighbors’ bottles? Based on my tastings in recent years it seems like many winemakers have considered that predicament and moved toward making more accessible Pinots, which I don’t think is a bad thing at all.